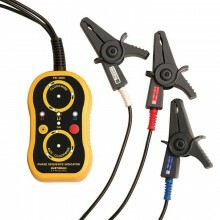 Includes: Fluke 9062 Motor and Phase Rotation Indicator, 3 x Test Leads, 3 x Test Probes, 3 x Alligator Clips, 9V Battery and User Manual. 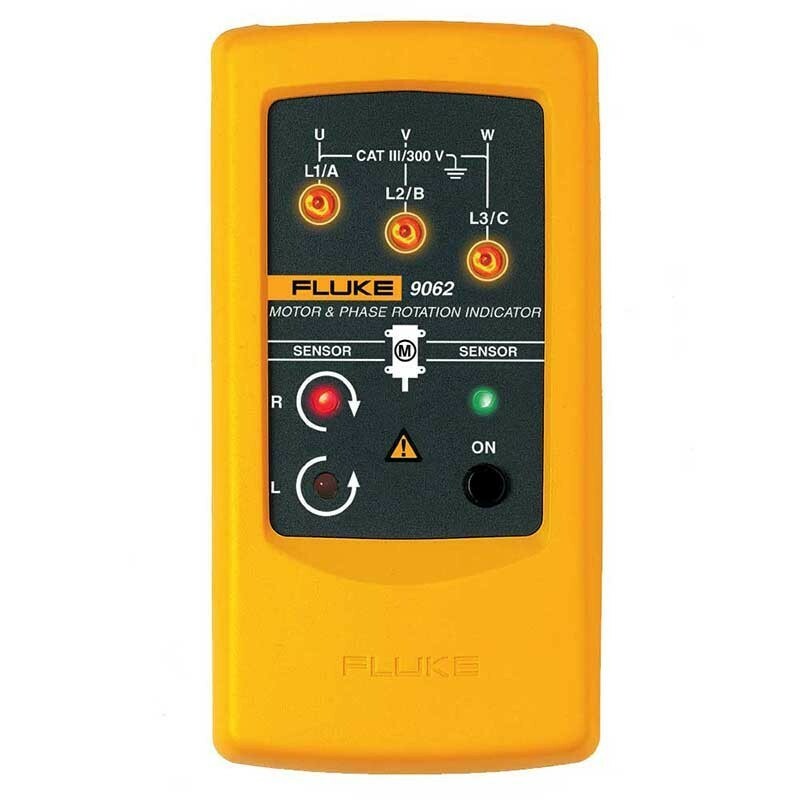 Purpose made for commercial and industrial environments, the Fluke 9062 provides rapid indication of 3 phase rotation using test leads supplied or can be used to determine motor rotation on synchronous and asynchronous 3 phase motors. 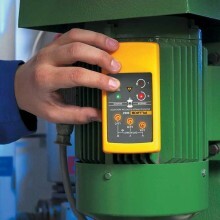 The contact-less detection is ideal for use on motors where the shaft is not visible. 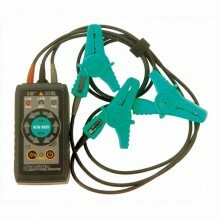 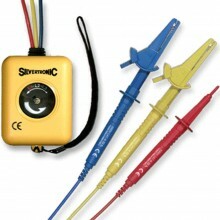 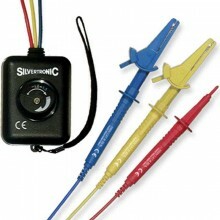 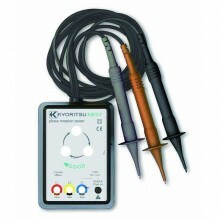 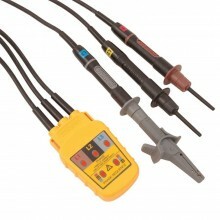 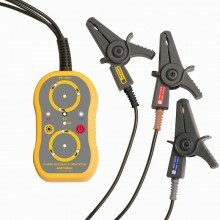 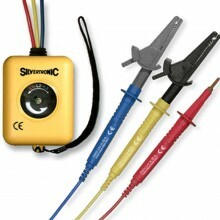 The included test probes have a variable clamping range for safe contact, also in industrial sockets. 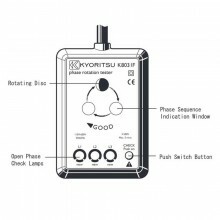 Indication of motor rotation direction. 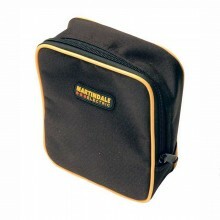 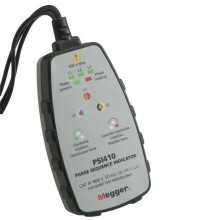 Voltage range Up to 400 V.
Frequency range 2 - 400 Hz. 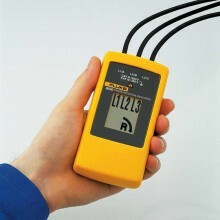 Phase display 120-400 V AC. 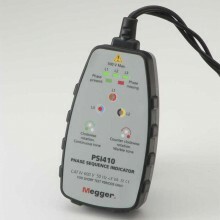 Operating temperature 0 °C to 40 °C. 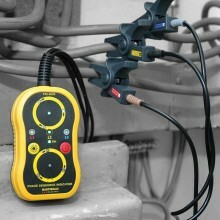 Electrical Safety EN 61010, EN 61557-7. 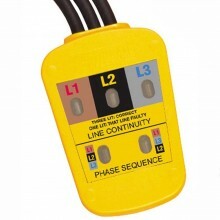 Overvoltage category CAT III, 600 V, CAT IV, 300V. 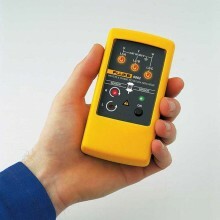 Batteries 1 x 9 V.
Dimensions 124 x 61 x 27 mm. 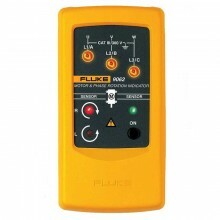 Fluke 9062 warranty 2 year. 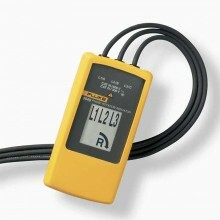 PDF Specifications of the Fluke 9040 & 9062 Phase Rotation Testers.